Having a vaporizer that is able to make use of all of the varieties of plant material, whether crafted into oil, a wax format, or the dry her b itself is incredibly essential. For those that have a medical card for marijuana, the different products have different benefits for one’s health. BlackoutX has made a portable vaporizer that deals with each type of material. We were quite surprised at how easy it was to move between each format; the liquid/wax cups that one uses in the PREM31R Vape are durable and can easily be restored to a pristine condition. We were surprised at the duration of the vape’s battery, which at a full charge can keep one using it through four or five sessions. Re-charging the vaporizer is easy, just needing to use a computer’s USB port, a portable battery, or a properly-outfitted outlet to charge. For those wanting a specific experience during their session, the PREM31R’s temperature can be changed to 375, 410, or 445. These presets are fantastic when one has a different viscosity or moisture to the product being vaporized. The PREM31R is packaged with a number of additional items, including a packing tool, cleaning brush, and two mouthpieces to keep things clean and hygenic. During this concert and festival season, the durability of the PREM31R means that it can kick around a backpack or bag while still being able to provide a stellar vaporizing session. The PREM31R Vape retails for $79; it is a powerful, value-priced addition that anyone that wants to only have to use one device for all vaporizable materials. 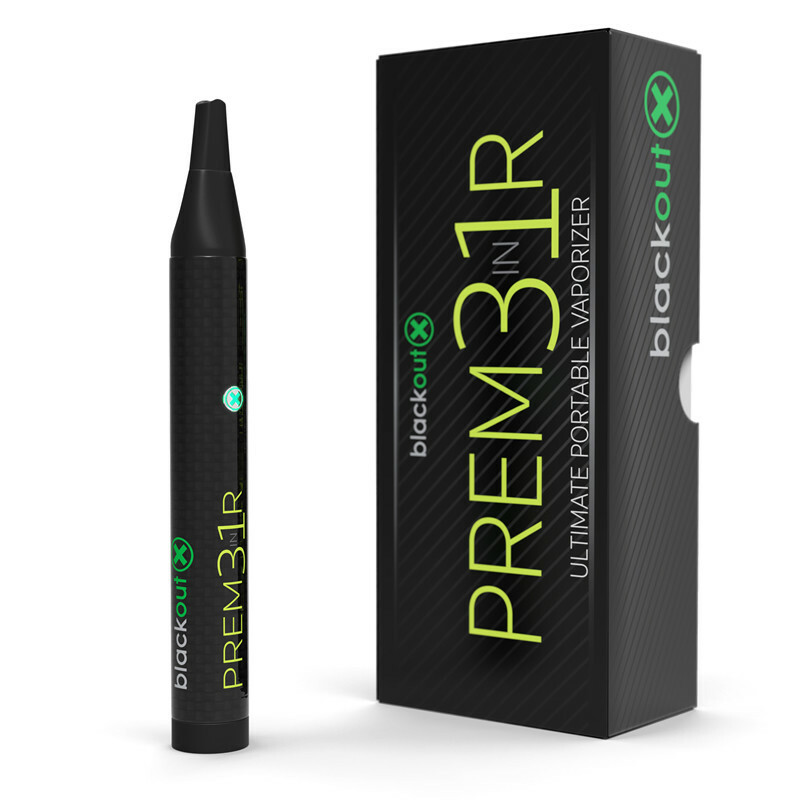 Visit the BlackoutX website to purchase the PREM31R, learn additional information about the PREM31R Vape and to keep up about any new products that the company may produce in the next years.